The cornerstone of our conversation is the rapper’s first single since his 2017 full-length EP ‘Kites’ which being more than a throwback to ’90s office culture deals with modern politics…. 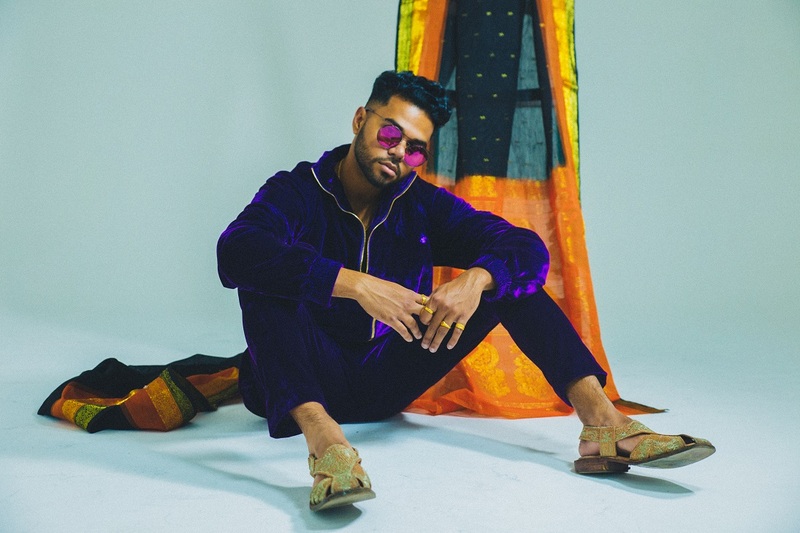 Last year, 29-year-old rapper Anik Khan who moved to Astoria from Bangladesh at the age of four took the rap industry by storm with his debut project Kites. 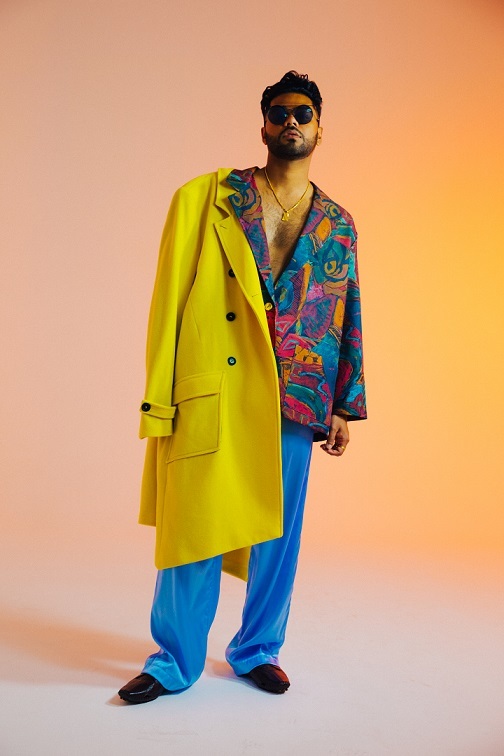 Filled with genre-fluid harmonies and narratives that explore what lies at his core, the EP was an homage to his life in Queens and his Bangladeshi culture. 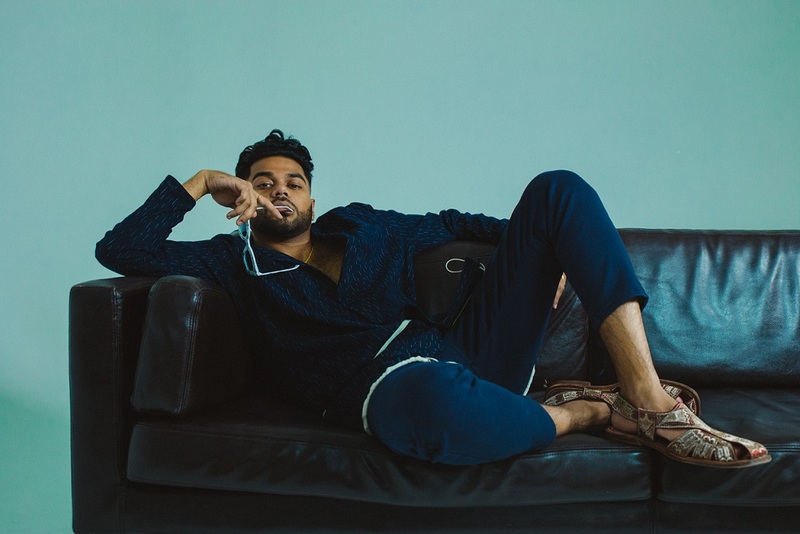 Khan’s latest single, launched through Saavn Artist Originals, comes at a time when immigrants are being championed under the presidency of a man that wants to close the gates on them. With marquee lyrics like ‘Damn, it feels good to be an immigrant’, Big Fax is as culturally relevant as it is foot-tapping worthy. Featuring outdated modes of communication that are a metaphor for archaic ways of thinking, the song is a visual love letter to Khan’s roots and the ethnic diversity of Queens — right from eating with his hands to zooming in on a decked-out rickshaw. The single is climbing up the charts with surprising speed and receiving praise from the likes of Ebro Darden, Zane Lowe and Elton John on Beats 1 Radio along with clinching a spot on a billboard in Times Square. Verve catches up with the rapper while he was touring the country to promote his latest single and we got talking about immigrants, subtle nuances, influences and everything in between. Anik Khan: I was able to realise my passion for rapping through my friend Sergio who introduced me to Fruity Loops, a digital audio workstation developed by the Belgian company Image-Line. Now known as FL Studio, it features a graphical user interface based on a pattern-based music sequencer. I began dabbling in production once I got my hands on it and then segued into rapping. I soon discovered I was better at rapping and so I began doing it fulltime. I still produce, but not in the sense of pushing buttons on the software; I now only look into the overall aspect of it. Your father was a freedom fighter in the Bangladeshi Liberation War. Did it shape your ideologies in any way while you were growing up? AK: It definitely impacted me in the most positive of ways, more so because my father repeated those stories so many times. Jokes aside, he truly is the bravest man I know. He is the reason I have a language and a culture and it’s because of him that I’m able to talk to you guys with such pride for my roots. I’m a warrior by nature and that part comes from my father. As a brown man in the U.S. right now, do you consider it your moral responsibility to highlight immigrant issues? AK: In no way do I believe that it’s my responsibility to be the voice of the immigrants. But it is something I care about deeply and would like to continue talking about without having to swear my fealty to the cause. I’m an artist but I’m human too and humans are capricious by nature. Some days we care about one thing and the next, we care about something else. I’m sure many people get really mad about getting stuck in traffic when they are supposed to get to the mall at a certain time to buy a specific commodity. They may complain about it for a week, get over it in time and then move on to something else. That could also happen to me. I may want to talk about polka dots for the next three years for all you know. That’s essentially why I don’t want to shoulder the responsibility of shining the light on immigrant issues. How did you come up with the idea for the music video of Big Fax? AK: I sought the help of Jordan Riggs who is a very close friend of mine along with being the director for my music videos. I bounced a few of the concepts that I wanted to run with off him and mentioned that I would like the video to include a rickshaw in the middle of a parking lot with a sports car driving around it. Jordan thought it was a rad idea. I also wanted the video to feature a bunch of girls that look absolutely feisty in hijabs and have them brandish AK47s. You see, it’s a metaphor for how I was raised. It was my father and I and four women at home. We were raised, taught and protected by women and it has really impacted my worldview. What are some of your personal favourite segments from the song? Are there any hidden pearls that you think may be misconstrued? AK: Well, there is a line where I sing, “Ani making more than I can count, now taking meetings with the fairer skin downtown”. Listeners may think I’m talking about myself but I’m actually referring to my friend and business partner Ani Sanyal who quite literally makes more money than he can count. I inserted his name into the song as a cheeky inside joke, but then we booked meetings with a lot of people that are way more light-skinned than us and it all just became a reality. What are the primary differences between Kites and Big Fax? AK: For me, Kites was about understanding what’s important. I used to think I wanted to be this centre star that sold out Madison Square Garden and everyone would only have eyes for me. Eventually, I realised that whom I actually cared about were the people steering my ship while I’m on this epic voyage, forever waiting to catch me if I fall and put me back on the deck again. Kites is about perspective and making peace with your foundations. Big Fax, on the other hand, is about the celebration of black and brown youth. It’s actually what a day in my life looks like and that’s just how I am with my friends. We did not cast people for this video — these people you see are actually my friends in real life and the visual treatment is a subtle way of highlighting that diversity is possible and it looks beautiful. We noticed that you wear a custom-made jersey in Big Fax that pays homage to Prodigy of Mobb Deep and Chinx. What’s the story behind it? AK: Prodigy is one of my favourite rappers. I don’t come from the hip-hop genre, but I love being part of it. I don’t want to be here without the prodigies of the world since I’m making money off it now and feeding my family with it. Prodigy has been a big influence in my life and he wore a classic Hennessy jersey in the music video for Shook One. I wanted to do my own take on it, so I had my jersey emblazoned with Queens in the same black and red colour along with the words RIP Prodigy on the back. You have your own merchandise and your latest line of tees features the names of your favourite restaurants. What other elements are you inspired by? AK: My need to create clothes is driven by anything I want to wear that doesn’t exist yet. We don’t have enough brown or immigrant representation in fashion and I want to change that. I wanted a velour suit that had the word foreign intentionally misspelt as ‘foriegn’ stitched onto it. Nobody had invented it yet, so I just made it myself. Are you aware of the hip-hop scene in India? Any particular artists you would like to collaborate with? AK: I don’t know as much as I’d like to. Raja Kumari is a dear friend and she has put me onto Divine and a couple of other rappers. To be honest, I’m not too big on names. I’m open to collaborating with anyone who wants to create dope music.